It’s 11-11-11 today. 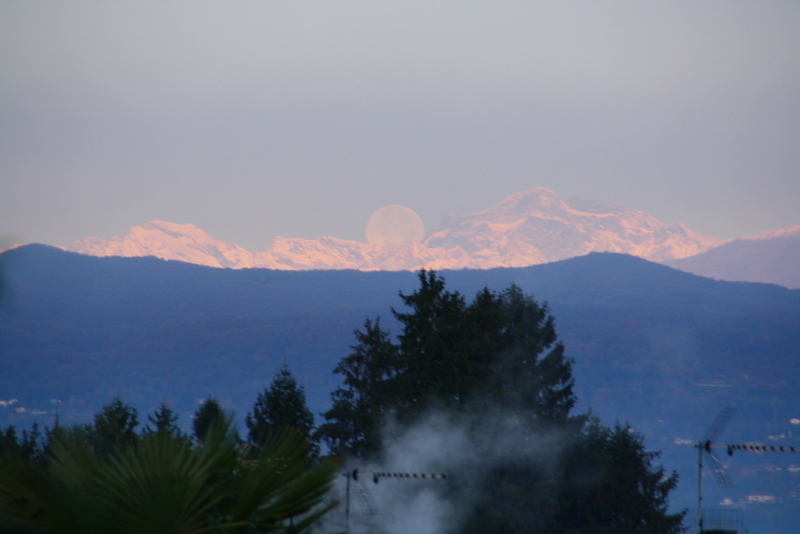 I woke up this morning and looked out my bedroom window and saw the mountains and the full moon in the distance. They had a soft rosy pink haze to them. The photo really doesn’t do it justice. It was stunning to see.